Everyone in the know knows that Orange County Ca is known for decadence! 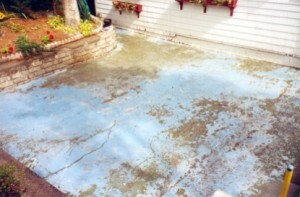 How much more appropriate it is then to make sure your waterproofing is serviced by a prestigious deck repair company? Prestige Deck Coating is just that. We combine decadent aesthetic appeal with salt of the earth construction capabilities. Personal. When it comes to deck repair in Orange County Ca there is no one more competent than Prestige Deck Coating. An improper deck repair can lead to serious waterproofing problems down the road. Each deck we repair is thoroughly waterproofed and resurfaced, instilling peace of mind when the winter and spring rains come. Orange County Ca summers are notoriously dry and hot, so over time the rain/heat combination will damage your deck. With our 10 year industry warranty, you can rest assured. No other deck repair company is better trusted than Prestige Deck Coating. Procedure. Our deck repair technicians have over 28 years experience with waterproofing and repairing decks all over South Orange County. 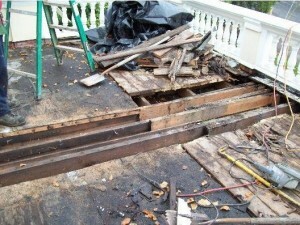 We repair and waterproof all types of custom exterior floors, steps, walkways, decks, balconies, stairs, and pool areas. Prestige Deck Coating not only repairs decks but we make sure your deck drains properly flow, eliminating any signs of water damage before they start. Prestige Deck Coating has been proudly serving the small beach community of Orange County Ca for several years. 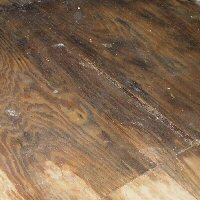 If you notice any signs of deck damage such as: dry rot, cracking chipped surfaces, staining, discoloration, flaking, soft spots, or improper water draining, give us a call for a free deck repair estimate. The longer you wait to waterproof your deck, the greater the likelihood serious structural damage could occur. We focus entirely on repairing and waterproofing decks and other types of exterior flooring. We believe in honest hard work, we never cut corners or use low-grade materials, and we always keep a clean work site. If you are interested in learning more about our multi-layer deck repair procedure, be sure to check out the rest of our website. Treat yourself to the most decadent deck repair Orange County has to offer, go ahead and splurge, your check book won’t feel any pain! Deck Repair Decadence In Action!